The local politics that decide and perpetuate these circumstances are hard to fathom. And the result is that these museums do not offer sufficient illustration of the past. Wonder I whether there are a few among my readership who wander about this land looking into the many small municipal museums that abound in provincial towns and cities. The question is fair because a serious visit, or even a casual inspection, can reveal the considerable accumulation of valuable historic accessories, ones that illustrate a nation yet that people are unacquainted with. Often at these sites there is no budget, no chance or no staff, which are needed to bring order to large spreads of items. For example, there is no major effort being made toward catering toward the likes of young students, who have never had the need to understand that there was once, maybe as recently as 18 years back, telephones which were not mobile and had dials with 10 holes that were turned with the help of a finger over a disc, with numbers nought to nine. Such contraptions were used to make a call across a street or an ocean. Small hand screens were not in use. Perculiarly, a majority of the museums I have visited have vast collections of things such as telephones of whatever vintage – but not much organisation. For people of a certain age and some travel, such museums were normal. There was an old and very generous practice of donating obsolete possessions, before eBay (founded in 1995) or Mercado Libre (founded in 1999). In the bygone days of rummage, jumble or car boot sales – or simply those who loathe throwing things away – the museum enthusiast or staff tempted to overfill spaces with heirlooms or antiques in local museums. In Britain, Margaret Thatcher poured money into refurbishments of what were referred to as “horrid little Victorian dumps.” It was the prime minister’s idea of promoting jobs at leisure venues, after she had shut down most of the nation’s industry and sent the leftovers to China. This is where museums, like most of the leisure industry, become a political issue, albeit with a lower profile. In the search for information about local museums and their potential upgrading, one person I had to consult was Iris Ruth Wulfsohn. Aged 58, she is the director of the Regional Historical Museum Juan Bautista Ambrosetti (the name is that of a historian, archaeologist and linguist born in 1865), in Gualeguay. The town has a population of 40,000. It was founded in 1783 under planning by the second Viceroy of the River Plate, Juan José Vertiz & Salcedo. The museum was built circa 1880 as the dwelling of an unidentified upper middle class family, gifted by the city to the town doctor, one José María Pagola, whose son bequeathed the house to the municipality in 1946. The building became home to schools of different arts and crafts until the city emptied two of its rooms, which were closed to the public but known as “the museum,” and moved the contents to the current address. The museum opened in 1965. Iris Wulfsohn trained at the Instituto Argentino de Museología in Buenos Aires, which no longer exists. 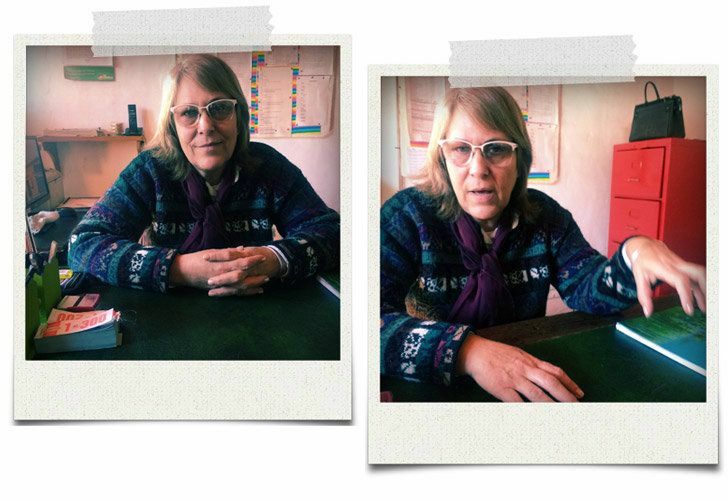 Through 14 years since graduation and living in Buenos Aires, she applied for jobs at the museum and was regularly rejected even if trained for the job. She volunteered, offered to work part-time, but was still turned down. Eleven years ago she was appointed director. She is not aware of any magic involved. And she still lives in the house across the street. She breathes museum matters every day of her life, and is part of a staff of seven who keep the building open to the public seven days a week. The historical museum, plus two others in town – one for the vanished railway and an art gallery – is financed in full by the municipal treasury. She does not know what the museum’s budget is or how the sum was reached –and she won’t guesstimate a figure. The museum has no other funding, from any authority. A museum shop is discouraged on the grounds that any income would have to go to the town council treasury, and it cannot be spent on much-needed repairs. A shop run by a “Friends…” group is difficult to organise because it would probably not want to answer to the town authorities.